I’m a big proponent of investing passively by maintaining a diversified portfolio of index funds. It definitely takes the fun out of investing, but as far as I’m concerned, taking risks with money that is earmarked for my daughter’s education and our retirement is not meant to be fun anyway. Its serious business. So what do I mean by passive investing. For me, it means that I don’t stay awake at night thinking (and worrying) of ways I can beat the stock market and make millions of dollars or on the flip side, make sure that I don’t gamble away all my hard earned money. If you want to hear stories of why trying to beat the market is a waste of time, I would definitely recommend reading the book “Wise Investing made Simple” by Larry Swedroe. The best definition for Passive Investing I have seen so far is: An investment strategy involving limited ongoing buying and selling actions. Passive investors will purchase investments with the intention of long-term appreciation and limited maintenance. Investopedia adds to this by saying, Passive Investing is also known as a buy-and-hold or couch potato strategy, passive investing requires good initial research, patience and a well diversified portfolio. Unlike active investors, passive investors buy a security and typically don’t actively attempt to profit from short-term price fluctuations. Passive investors instead rely on their belief that in the long term the investment will be profitable. Passive investment management makes no attempt to distinguish attractive from unattractive securities, or forecast securities prices, or time markets and market sectors. Passive managers invest in broad sectors of the market, called asset classes or indexes, and, like active investors, want to make a profit, but accept the average returns various asset classes produce. 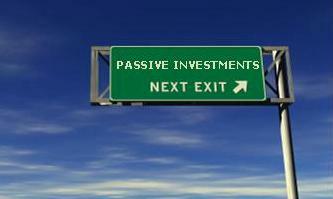 Passive investors make little or no use of the information active investors seek out. Instead, they allocate assets such as 1 oz silver bars based upon empirical research delineating probable asset class risks and returns, diversify widely within and across asset classes, and maintain allocations long-term through periodic re-balancing of asset classes. Where as, Active management might best be described as an attempt to apply human intelligence to find “good deals” in the financial markets. Active management is the predominant model for investment strategy today. Active managers try to pick attractive stocks, bonds, mutual funds, time when to move into or out of markets or market sectors, and place leveraged bets on the future direction of securities and markets with options, futures, and other derivatives. Their objective is to make a profit, and, often without intention, to do better than they would have done if they simply accepted average market returns. In pursuing their objectives, active managers search out information they believe to be valuable, and often develop complex or proprietary selection and trading systems. Active management encompasses hundreds of methods, and includes fundamental analysis, technical analysis, and macroeconomic analysis, all having in common an attempt to determine profitable future investment trends. So, in order to reach your financial goals, slow and steady wins the race! Hopefully, my review of the book “The Quiet Millionaire” written by Brett Wilder, can shed more light on the various aspects of saving and investing wisely. How Much Should You Save in Your 50s? Are Bonds A Safe Bet ?